300,000 Iraqis, including 600 Shiite leaders, condemn Iran in a petition. 300,000 signed petitions condemning Iran for sowing disorder in Iraq. More than 300,000 Iraqis including 600 Shi’ite tribal leaders have signed a petition accusing Iran of sowing “disorder” in southern Iraq, a group of sheikhs involved in the campaign said. The sheikhs showed Reuters two thick bundles of notes which contained original signatures. The sheikhs said more than 300,000 people had signed the pages. Such a public and organized display of animosity toward neighboring Shi’ite Iran is rare in Iraq. Iranian influence has grown steadily, especially in the predominantly Shi’ite south, since the U.S.-led invasion toppled Saddam Hussein in 2003. 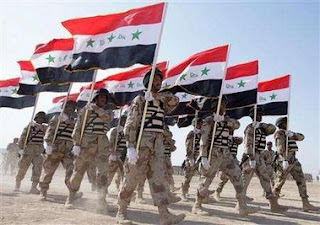 “More than 300,000 people from the southern provinces condemned the interference of the Iranian regime in Iraq and especially in spreading security disorder in the provinces,” the sheikhs said in a statement. The Washington Post has more on the anti-mullah petition. Ace has the Democratic reaction. Would this count as political progress??? And… TigerHawk believes this may subvert the notion by Leftists that Iran is not fueling the fires in Iraq. This is the kind of organizing strategy the Left, back when it supposedly championed this sort of thing, would have been proud to espouse. Too bad it left the job of fighting dictatorships to MNF-Iraq. Iraq has been a tragedy for the Left in a way that it has never been for conservatives. And, it’s only going to get worse. Related… Here is more analysis on Al Qaeda’s failings.